Ten Thousand Villages(TM)- Port Gift'N ThriftRecord Owner? Log in. 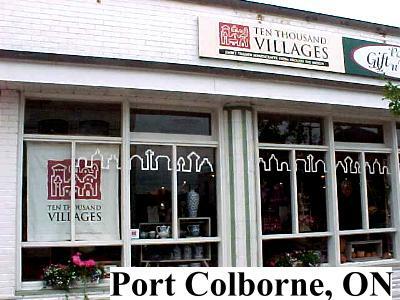 Located at the southern extremity of the Welland Canal, Port Colborne is a short drive from Buffalo, NY; St. Catharines or the Golden Triangle (Hamilton / Toronto) area. Port Gift'N Thrift is just off West Street on Charlotte. Monday through Saturday 10am - 5 pm. Ten Thousand Villages is a non-profit program of the Mennonite Central Committee, the service, relief and development agency of the Mennonite and Brethren in Christ churches. MCC is a nonprofit charitable organization based in Akron, PA.
At Ten Thousand Villages, we believe a fair deal is important. We offer a 50% advance as working capital to artisans and pay in full when an order is shipped to us. We monitor working conditions and how workers are paid. As people of faith, we can apply our principles of love and justice when we make purchases. Last year, fair trade with Ten Thousand Villages benefited some 60,000 craftspeople in more than 30 countries. Ten Thousand Villages is a member of the International Federation for Alternative Trade (IFAT), a coalition of Third World handicraft and agricultural producer organizations and ATOs. 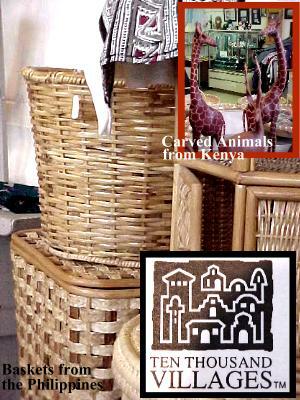 WE OFFER FAIRLY TRADED HANDICRAFTS FROM AROUND THE WORLD. IT MAKES A DIFFERENCE WHERE YOU SHOP! 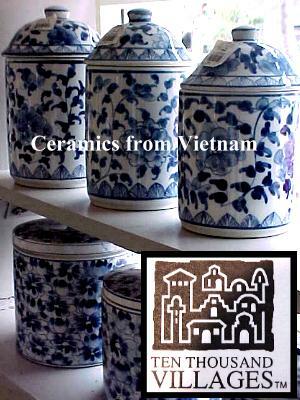 Have something to say about Ten Thousand Villages(TM)- Port Gift'N Thrift?